7T38 XYZ 3 axis translation. See further article for X-Y-Z stacking. 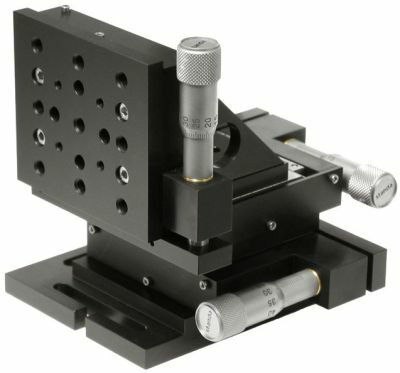 In the video below linear translation stage 7T38 in combination with angle bracket 2AB38 is used as a precision vertical positioner in multi-axis system for micromanipulation.